Toyaja has a specialized experience in building extensive web solution for food and restaurant industry and partly thereof related to any food order management system. We provide a solution that has strings with multiple locations for placing and managing the orders. This solution will cater the needs for industry players like aviation, companies and corporates even with independent chains. 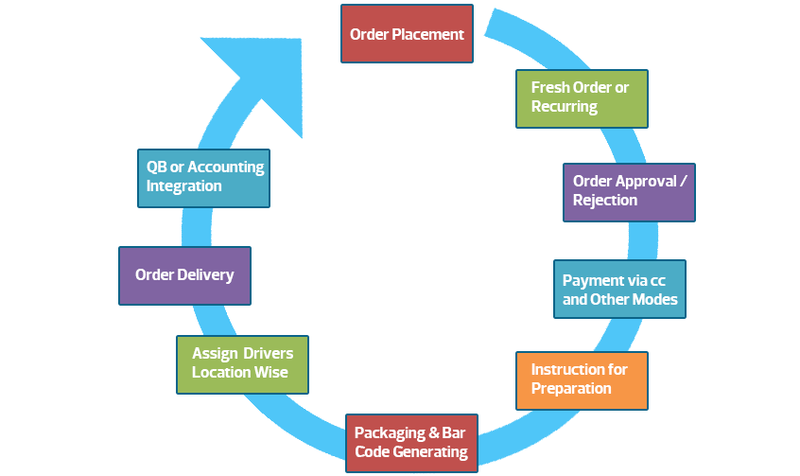 Every stage in the solution is carefully built with a pre-defined process that will go through different phases before delivering the generated orders. Right from receiving the orders, and processing or orders will have place and a tracking mechanism to collect information and provides ease to deliver them at right time and location with integrated barcode generation within the solution. Our solution will provide the users to integrate with all major payment gateways and capable to integrate with all major accounting and finance applications like QB. That helps users to get along with the accounting aspects as well internally with less effort and more accuracy which reduces errors and repetitions in recording of entries. The solution is well designed with a standard process and that procedure will be a guiding factor for the user using the solution throughout. Every stage in the solution will assist and allow a detailed track on the happened and about to get happen activities while processing an order. In the below process chart an outlook of the solution can be seen. Bulk order processing case company and corporate even for individuals also. Order placement by user and customer service executive confirmation and proceed with kitchen. Packaging and generation of barcode for every order prepared in kitchen.